Small companies seldom make use of professional support in corporate communications. A mistake, according to our author. We have hardly any news. We have to concentrate on sales. If communication, then only marketing. We are only interested in leads. We wouldn't have time to take care of the agency. These are the sentences we hear in conversations with startups. They testify to the fact that founders of a young company are not yet aware of the added value of communications. It is a widespread misconception – not only in newly founded companies – that PR only makes sense if a company has already gained a foothold and has a large product portfolio that enables a continuous stream of news. 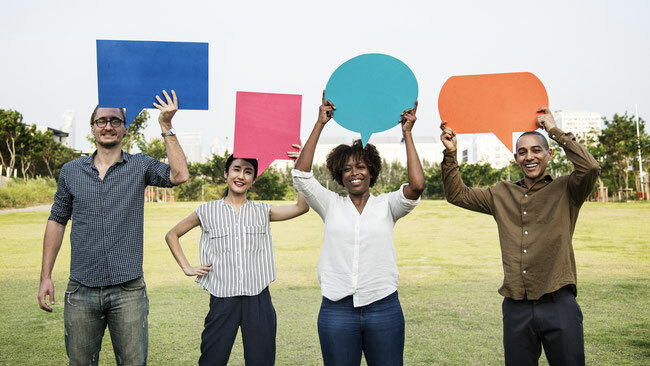 There are numerous occasions for discussions which are interesting for different media and thus for potential employees, customers, suppliers, investors and local politicians. 1. Founder portrait: Every company foundation is an exciting story in itself. Most heads behind it also. Regional daily newspapers and media of the founder scene are interested in such portraits. Possible target groups: investors, local politicians. 2. Company portrait: Those who found the 135th company that manufactures screws will have a hard time here. But in fact, most of the new companies are entering the market with fresh ideas. Local media keep reporting about the previous gap and how the up-and-coming company intends to close it. Possible target groups: employees, local politicians, investors, customers. 3. Statements: Company founders often have clear visions of a technological turnaround. A startup can position itself as a pioneer in the market through pointed, provocatively formulated statements on current market events. Such statements are occasionally picked up in the business section of regional media and can often lead to an interview in which the topic is deepened. Possible target groups: employees, local politicians, investors, customers. 4. Product test: Especially new companies with unknown products expect an enormous credit of trust from their customers. If an independent institution tests a product and reports positively about it, this is an important step through the door of the potential customer. Depending on the product, such a test is relevant for the respective industry media and reaches potential buyers and investors. 5. User report: Nothing generates trust as fast as a positive experience report of a satisfied customer. Often the first customers are courageous and keen to experiment. And in most cases, they are willing to describe the application of the product. Most industry media like to pick up such reports, which are read by potential buyers, investors and employees. Many startups are surprised at the importance of corporate communications at the very beginning. A young company naturally needs a convincing product and must make it known, but it also needs a brand, a credible identity. This is where corporate communications work miracles. Dunja Hélène Ruetz finds startups extremely exciting. Because there are usually fresh ideas and courageous people behind them. They also offer a great deal of creative freedom in communications. And they arouse her sporting ambition.